For 12 years, the Toyota Prius hybrid stood alone in the growing lineup of Toyota vehicles. 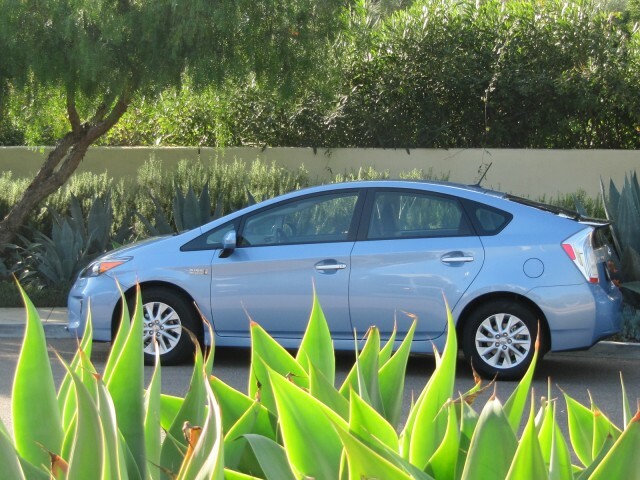 Then, for 2012, the Prius model became a whole family of cars--four of them, in fact. So which of the new Prius family members is doing the best so far, and which kid is lagging and might benefit from some after-school tutoring? Actually, it turns out, all three new models are doing pretty well--raising Prius sales substantially this year over last year's figures. Through September, the company has sold 183,340 Toyota Prius models. That compares to 136,453 in all of 2011, and 140,928 the year before. That total puts the company on pace to sell roughly 245,000 Priuses this year, a whopping 79-percent increase over last year. Of those, by far the largest share--64 percent, or 117,258 cars--is the standard, know-it-from-100-feet Prius Liftback, the 50-mpg five-door hatchback last redesigned in 2010. That number is only 26 percent higher than Liftback sales over the same nine-month period last year, meaning the rest of the increase comes from the three new siblings. 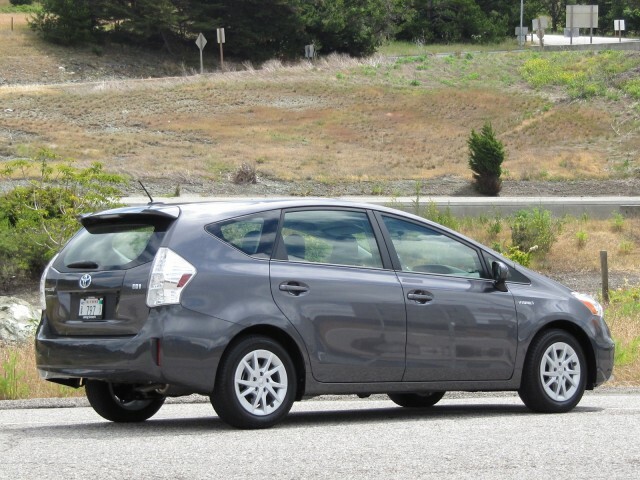 After the Liftback, the biggest share of Prius sales comes from the 2012 Toyota Prius V wagon, which reached the market exactly a year ago, in October 2011. It represents 17.6 percent of this year's Prius sales, at 32,218 sold--plus another 8,473 last year. Indeed, the hybrid wagon was arguably the most logical "next Prius," offering a roomier model for growing families that retained the Prius looks and virtues. Its EPA combined rating is 42 mpg, higher than any other wagon or crossover utility vehicle. 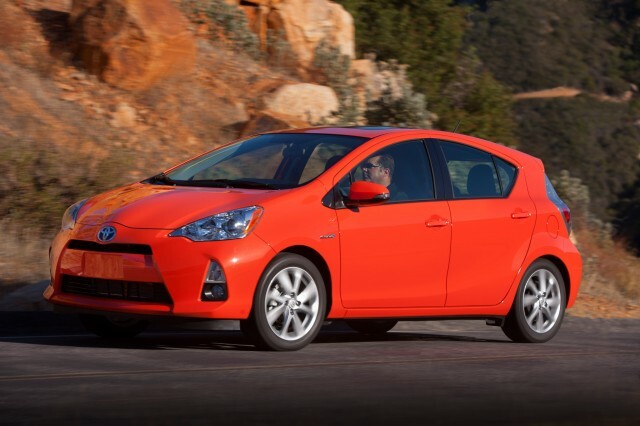 After the wagon comes the 2012 Toyota Prius C subcompact hatchback, which went on sale in February. It represents 14.3 percent of the year's Prius sales, but that number is a bit deceptive, because since March, it's provided 16 to 19 percent of each month's Prius total. The littler Prius is also rated at a combined 50 mpg, though its city rating is higher (53 mpg) and its highway rating is lower (47 mpg) than the Prius Liftback (51 mpg city, 48 mpg highway). Finally, there's the fourth sibling, the geeky one with the electric cord. The 2012 Toyota Prius Plug-In Hybrid, to give it its full name, has been a sales success among the growing number of plug-in cars offered in the U.S. market. It too entered the market in February, and through September it racked up sales of 7,734--or 4.2 percent of the Prius total. That number puts it in a solid second place, after the Chevy Volt, in the rankings of U.S. plug-in sales through September--well ahead of the Nissan Leaf battery-electric car. All of these numbers, by the way, are close to projections for the Toyota Prius hybrid model mix made early this year by executives. The company expected the standard Prius Liftback to represent about two-thirds of sales, with the Prius V wagon and the Prius C subcompact each logging 15 percent, and the plug-in Prius coming in around 5 percent. What's behind those surging sales of Prius hybrids, by the way? We suspect the numbers may have been helped by high fuel costs this year, especially the recent highest-ever gas prices in California (long a Prius sales stronghold).